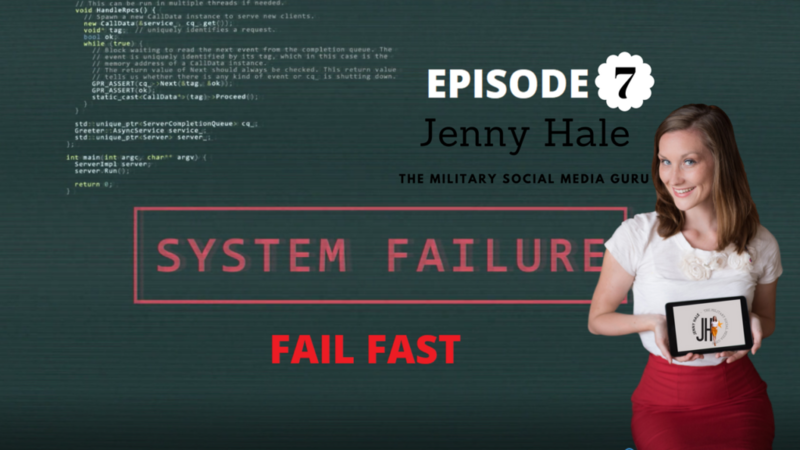 Jenny Hale is a social media mentor for the US military. Jenny started her career working with the military community and over time she realized she wanted to help more. Jenny lived in the barracks, she rappelled down towers, and even took pictures inside the gas chamber! So much that after college and being a photojournalist, Jenny attempted to enlist, more than once! But unfortunately, due to some childhood medical issues, that would prevent her physically to do what she needed and wanted to do, Jenny was not accepted. But, since Jenny fell in love with the military and found her purpose, she was not going to give up that easy. She couldn’t walk away, she had a purpose, so she had to work with the military and makes sure its more than a 24-hour job. Now she pivoted and found a way to do what she wants, around who she wants. This is such a great interview with Jenny Hale, that I recommend listening, rather than just reading the show notes. Jenny Works with various military spouse/veteran entrepreneurs to reach social media and marketing goals. Jenny Hale offers coaching, social media management, content creation, and public relations services to the military community entrepreneur and specializes in serving businesses with military-focused products/services. Thank you for listening to Quin Amorim’s interview with Jenny Hale, I hope you liked it, and please share the show.